Tardigrades, which are often called water bears, are nearly microscopic. Although they are usually water dwelling creatures, they can be found in Antarctic ice, ocean depths of 14,000 feet and in the Himalayas at a height of 20,000 ft. They can survive just about anywhere, including outer space. 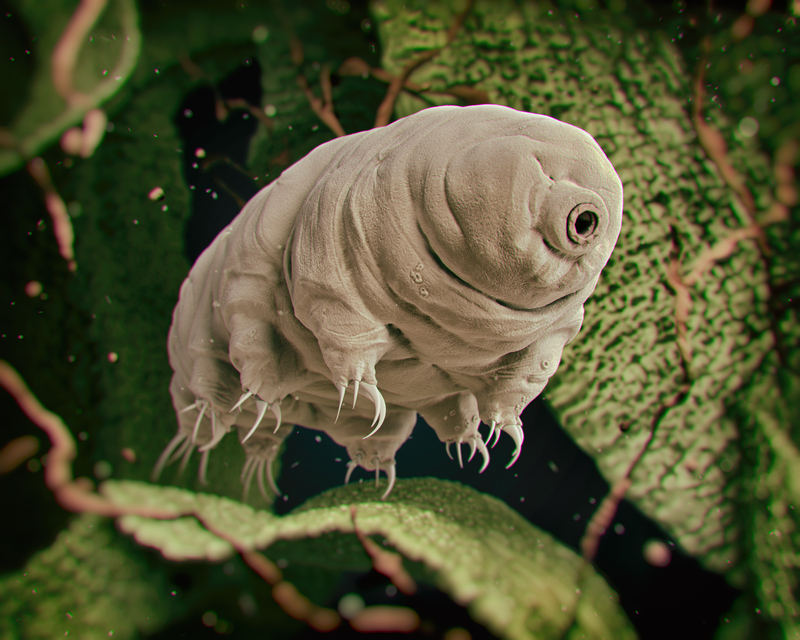 Fossils of tardigrades have been found in the geologic record dating back over 530 million years – compare this to humans which first evolved about 6-7 million years ago, with homo sapiens first appearing about 200,000 years ago. Tardigrades can survive for over 10 years without food and water. Some have even been found still alive in moss over 150 years old. Tardigrades can survive extreme pressure – over 1,500 times normal atmospheric pressure. Some species can even survive over 6000 times normal atmospheric pressure. That is over 6 times the pressure in the Mariana Trench! They can survive temperatures of up to 304 Fahrenheit and down to -328 Fahrenheit (almost absolute zero!). Tardigrades can survive in extreme radiation up to 5,000 Gy of radiation – a lethal dose for a human is 5-10 Gy. In extremely toxic environmental conditions they can enter a state of chemobiosis and survive for years. Tardigrades are arguably tough….. So how do you design your supply chain to match their ability to survive under any condition? Businesses are evolving at a faster rate today than any other time in history. Technology is constantly changing. It is often easy to ignore inefficiencies in your supply chain just accepting it as “the way things are”. But acknowledging the warts on your supply chain and embracing the change needed to improve it is crucial in today’s rapidly evolving business environment. Become a disrupter in your organization constantly challenging the status quo. Every single decision made in your supply chain will ultimately impact service level, profitability and competitive advantage. Companies typically have large investments in their information technologies ranging from ERP systems to industry specific applications. Instead of levering those assets, companies often overlook the value of that data. Good supply chain solutions can only be made with good data. Often something as simple as creating reports that provide visibility of the data to your supply chain organization can provide valuable insights. Control over the supply chain is critical in today’s competitive markets. What parts of your supply chain give you a competitive advantage? Focus your efforts on optimizing those parts first then work on the other standard processes. If you are not sure or have just made major structural changes to your business then do a Business Optimization Assessment to analyze your supply chain and identify options that will drive improvement in key areas such as total supply chain cost, supply chain agility, customer service and other strategic business initiatives. The build it and they will come days are long gone. As margins continue to be squeezed, accurate forecasting is critical to ensure the right products are available at the correct time and in the correct quantities. A monthly Sales and Operations Planning Process is no longer a nice to have it is must have to survive and Integrated Business Planning Process with suppliers and vendors are just as critical for everyone’s survival. Supply chains have become highly complex in recent years making proper management of supply flows through network management more critical than ever. Running a static Network Design model every two years is no longer sufficient and running it without expert guidance is risky business.